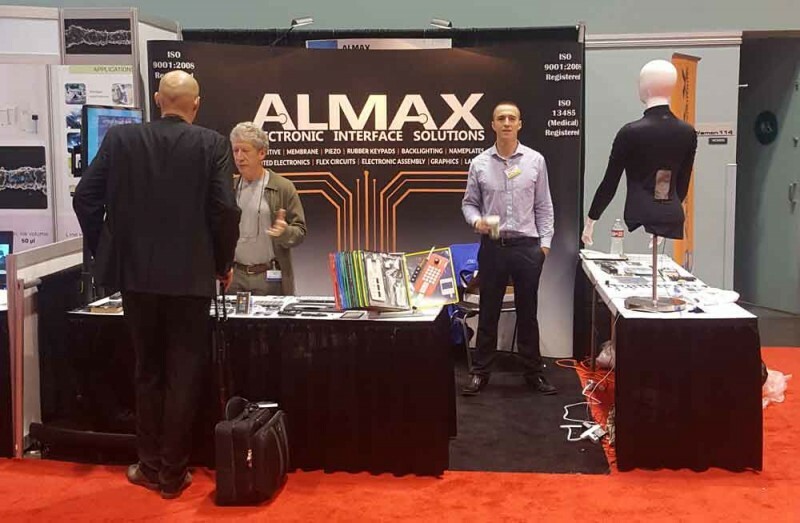 ALMAX Electronic Interface Solutions sent an engineering team to the ID TechEX show. The ALMAX interface design engineers provided free design reviews and product demonstrations during the show. ALMAX has been designing and manufacturing electronic interfaces for over 20 years. OEMs and re-sellers rely on ALMAX’s electronic interface design expertise and manufacturing capabilities to develop innovative and reliable products for medical devices, industrial controls and high-end consumer electronics.